At Planet Labs, we’re on a mission to image the whole world, every day and provide universal access to it. 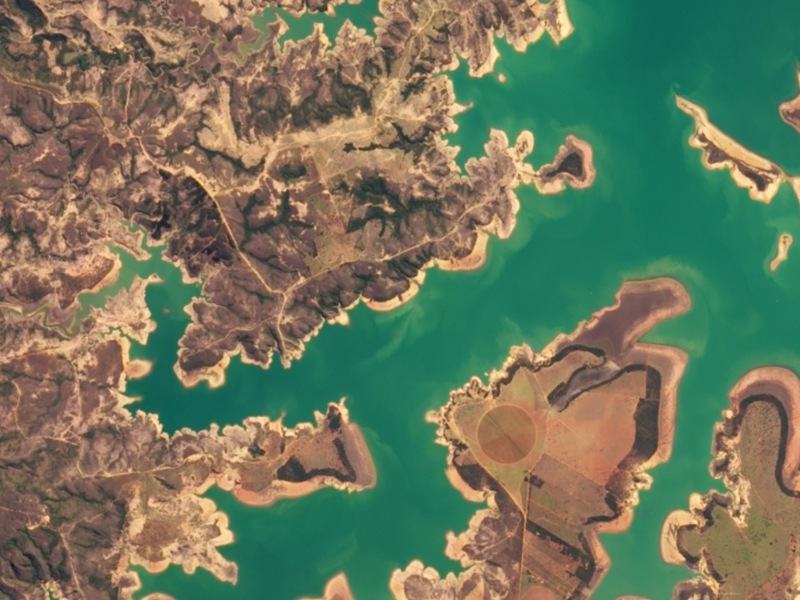 We think the fresh and frequently updated, global imagery can help humanity to take better care of the planet and life upon it, as well as create myriad new commercial opportunities. Today we are releasing a sample image gallery, downlinked from our newest fleet of satellites, or “Doves” as we call them. This set was launched on 19th June from Yasny, Russia, on board the Dnepr rocket. These images are a small sample, just the tip of the iceberg, of data streaming down continuously — shared in the spirit of stimulating your thinking on what this imagery could be used for. One of the key features that frequent images enables is detection of change. To help illustrate that, we’ve added sliders to some images to compare with Landsat satellite imagery from the same month of the previous year. As the data stream in each hour, the responses of our team vary from awe, to curiosity, to surprise. There is beauty in the ships steaming along the Suez Canal, constant amazement at the rapidity of infrastructure development in China, and sobering reality upon observing the impact of drought in our home state of California. 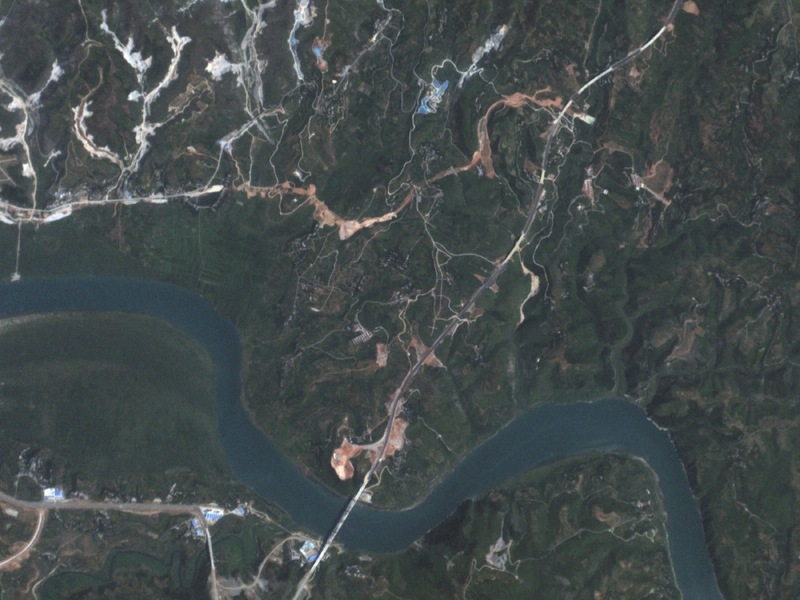 Image © 2014 Planet Labs Inc. Here we see a major growing region for coffee in Minas Gerais, Brazil. Using the slider one can see the reservoir level change — showing evidence of the severe drought that reduced the region’s coffee output this year. 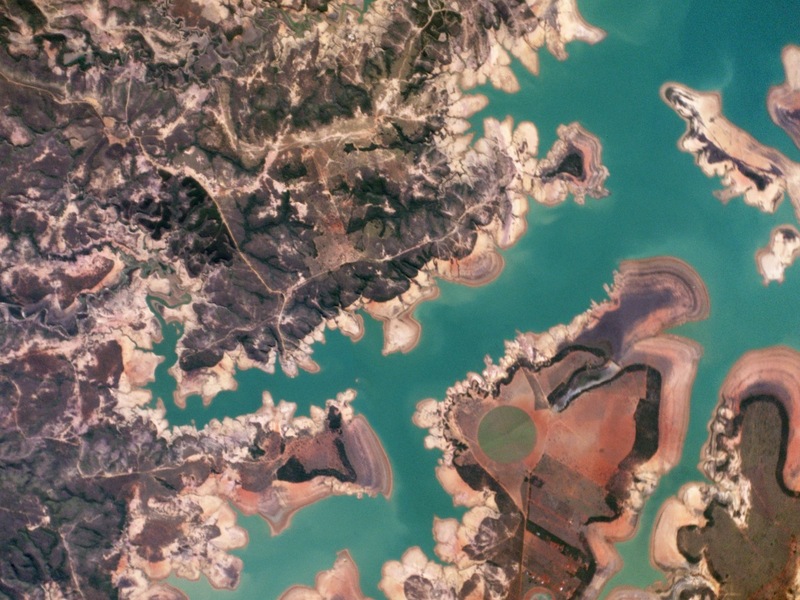 Images like this at a global scale can help us to ensure food and water security to all people. 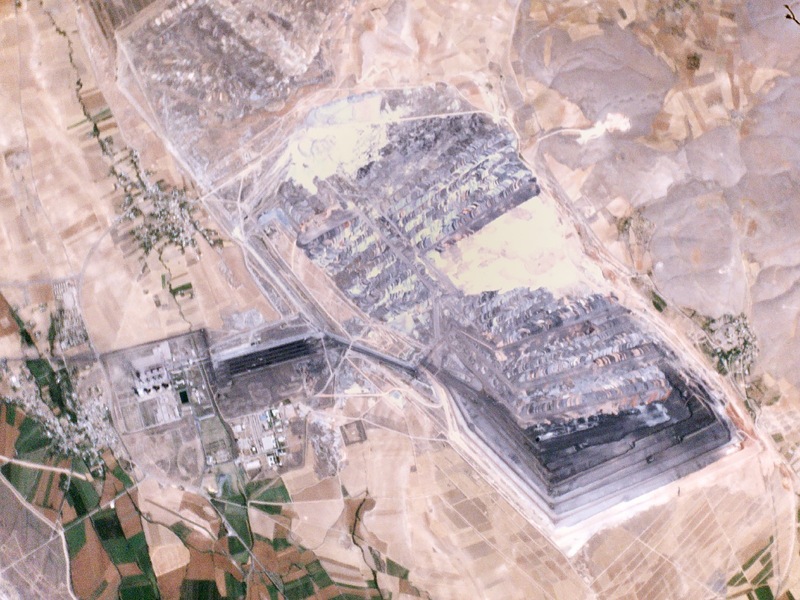 Dominating this image is the coal mine in Turkey and the associated 2.8MW power generation complex. By monitoring sites around the world like this one, we can see the impact of growing energy demand in real time, helping a variety of stakeholders, from potential project investors to environmental organisations tracking the carbon economy. This image reflects the rapid pace of development we see in China in this case along the Han River in Hubei Province. Using the slider, road construction can be seen, as well as new buildings and changes in land use. Wildfires such as this one in California, which we captured just 15 minutes after the fire was first reported, threaten lives, property and resources, and cost billions of dollars annually. 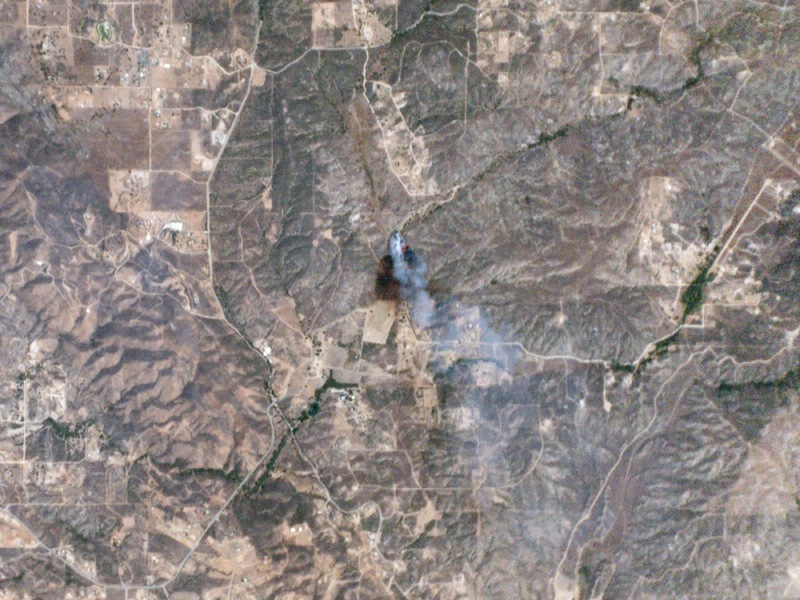 Early detection via images like these could support decisions about how and where to deploy firefighting resources. 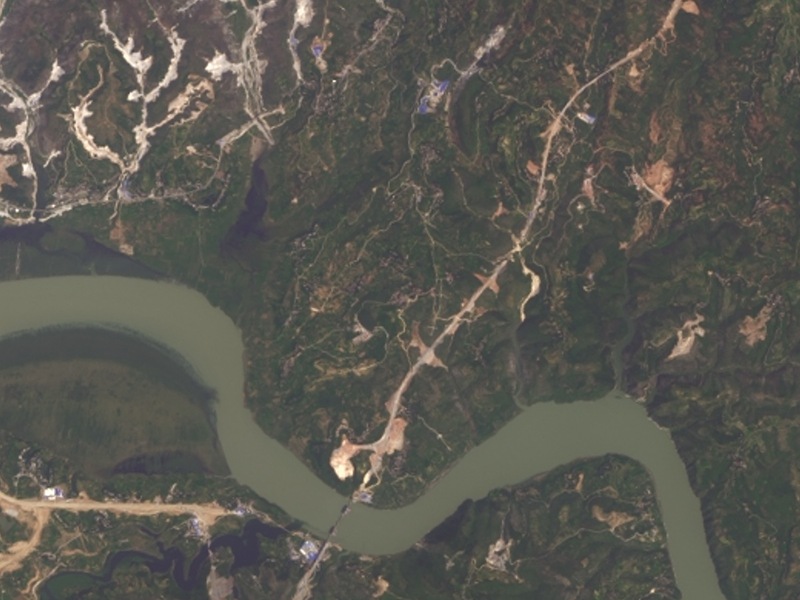 The images hint at the breadth of use cases latent in a fresh, global imagery dataset. Although no magic bullet, we hope these Doves will go some way in helping us to collectively take care of our beautiful spaceship Earth! Enjoy the rest of the sample imagery, and check back here soon.